Many of us find ourselves sitting in front of a computer screen all day performing repetitive tasks. By remaining aware of our body position we can reduce the strain placed on our body. 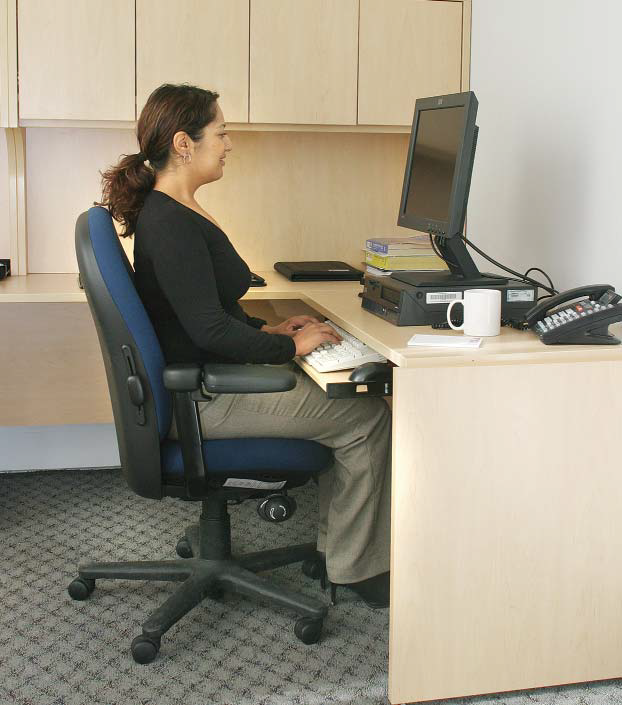 Sit upright and toward the back of your chair so your lumbar spine is supported. Keep your shoulders relaxed and maintain a strong back so your shoulders don’t roll forward as you work. Proper seating position is important but you should remember to change position and stretch throughout the day to refresh your muscles and refocus your body. Make sure your seat is properly adjusted and directly in front of the keyboard. Adjust the monitor height so that you are looking straight ahead. Also keep your feet flat on the floor or on a foot rest and your weight evenly distributed to avoid leaning to one side or the other. The position of the keyboard and mouse should be comfortably in front of your body and you should not need to reach. Some other office tasks that may cause strain are twisting to answer the phone, bending to pick something up, and relying on your dominant hand to do all of the work. To reduce the risk of injury at work increase your body awareness and make conscious movements to protect your spine throughout the day. For more information please see our post on Office Ergonomics. When standing with proper posture your ankles, knees, hips, shoulders and ears should all be in a straight line. For every inch forward your head comes forward from your shoulders, it is the equivalent of doubling the weight of your head. Focus on keeping your shoulders back by bringing the shoulder blades closer together. Engaging your core will keep the pelvis from rolling forward and creating a sway in your low back. Your knees should be straight not bent, however, refrain from hyperextending or locking the joint. Your weight should be evenly distributed on both feet and avoid leaning on only one leg. 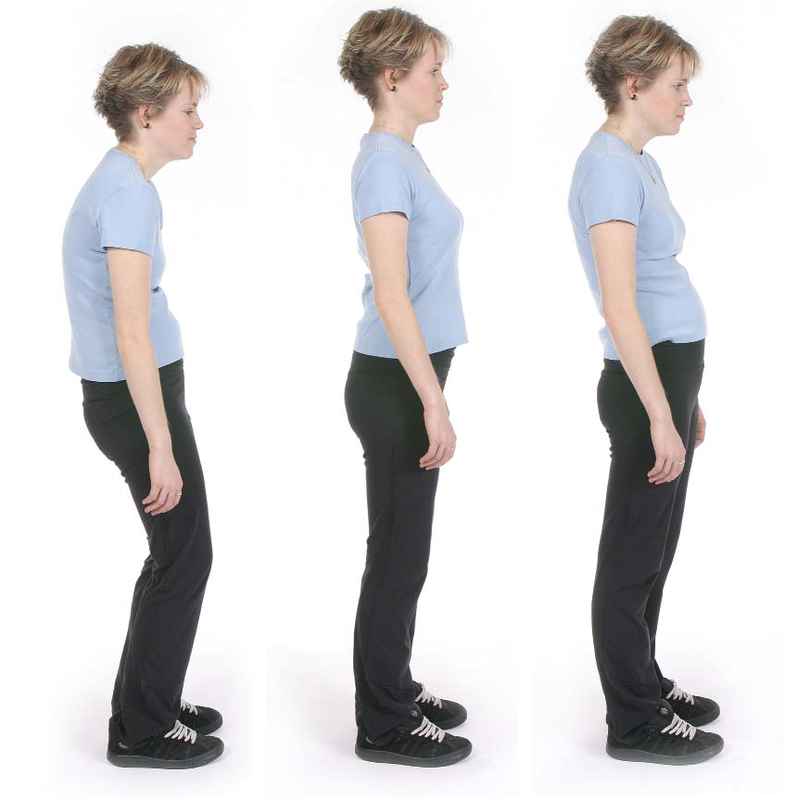 Here are some examples of postural exercises you can do at home or at work: Postural Exercises. Good sleeping posture will allow you to have a more restful sleep while placing less strain on your body. 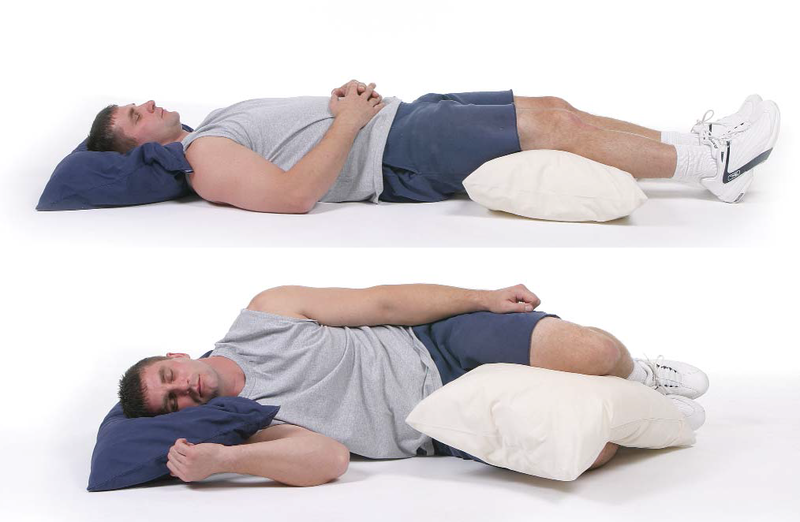 To reduce discomfort try using pillows for additional support. 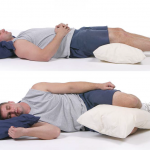 When lying on your back placing a pillow under your knees will take strain off of your lumbar spine. When lying on your side, place a pillow between your knees, which will allow for your hips, shoulders and knees to remain stacked. The goal is to keep your body in a neutral position while remaining comfortable. View more Sleeping Posture Tips. We have all been told to lift with our legs and not with our back but, in fact, there are a number of steps to ensure proper lifting technique. First, engage your core, bend at the knees and remain balanced. Lift with your body as one unit focusing on legs, core and arms and remember to keep the item close to your body as you move it. Heavy items should be carried between knee height and shoulder height. You should also avoid twisting when carrying additional weight as it produces a greater force on your spine, including your discs, and places you at greater risk of injury. Check out our post on Why Disc Herniations Occur. Our feet are the base of our posture and used in almost every activity we do while standing. Our feet transfer weight into the floor all day long. Our arches act as bridges and shock absorbers to transfer weight and energy efficiently. Because we live in a concrete world, our arches often flatten over time. This is why it is especially important to wear appropriate foot wear for work and sport. Stretching and strengthening programs can be very beneficial in preventing a number of the most common foot and ankle conditions. Custom orthotics can sometimes be used to preserve the structural integrity of the arches. Watch this video to find out how custom orthotics may help you. Contact our office for more information or to schedule a postural assessment. Posture is very important for injury prevention. But, it is also equally important to improve balance, core strength and joint function, stability, support, mobility and coordination. We can help you set up a custom program that may help you improve in these areas.